Welcome to Canada’s premier outlet destination, a place where family-friendly fun, fashion outlets, dining and entertainment equals a destination you have to experience to believe. Looking for the perfect day that pleases both kids and parents alike? 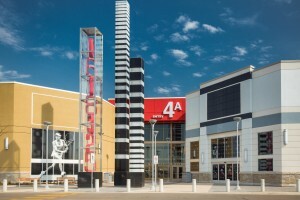 Vaughan Mills provides a can’t-miss experience for every interest. World-class attractions like LEGOLAND® Discovery Centre and Pro Shops Outdoor World are perfect for entertaining both young and old. And if it’s the thrill of the find you’re after, don’t miss an exceptional mix of outlets and specialty concept stores that make Vaughan Mills a top destination! In fact, this is one of the most unique collections found anywhere in Canada, providing an unprecedented outlet shopping experience for savvy shoppers from all over the globe. The world’s leading fashion and lifestyle brands await you, including: Saks Fifth Avenue OFF 5TH, Sephora, hr2 Holt Renfrew, J. Crew Factory, BOSS Outlet, UGG Australia Outlet, DKNY, Calvin Klein, Michael Kors Outlet, Lacoste Outlet, A/X Armani Exchange Outlet, Banana Republic Factory Store, Victoria’s Secret and many more. Located in the city of Vaughan, just 32 kilometres north of downtown Toronto, this incredible entertainment and outlet destination is easily accessible along Highway 400 northbound. Enjoy hassle-free transportation with the Vaughan Mills Shopping Shuttle. Roundtrip, daily departures leave from Toronto’s Union Station between June through September 30, and returning for Black Friday through December 26. Ready to plan your visit? Click here to get started!